Team India will play Australia for five match ODI series and two match T20I series starting February 2019 as a part of the World Cup 2019 preparation. BCCI has officially announced the online ticket booking for India vs Australia ODI Matches scheduled to be played in coming days of time. You can also buy tickets online through ticketing partners approved by BCCI as they are available officially. Please check the ticket rates / price and availability for matches scheduled in Punjab (Mohali), Hyderabad, Nagpur (Vidarbha), Delhi and JSCA Ranchi as venues for ODI's and for T20I matches - Bengaluru, and Visakhapatnam. The ODI series and T20I series is scheduled to start in February - March 2019 and decides the Number 1 team in ICC Rankings for India. For more information regarding ticket booking please refer to the information below for rules and regulations for online tickets. The official ticket booking for upcoming One-Day International series will start in short period of time. BCCI will reveal the primary list of websites up for tickets in the matches. It is believed that Paytm and BookMyShow will vie for the online ticket sales which will account for 60 percent seats to be booked online for India vs Australia 2019 matches. The sale of tickets will probably begin in January 2019 for all ODI Matches, however for T20I there might be some delay. India will play Australia and New Zealand for a thrilling test match series and followed by ODI's and T20I in January and February season away from home. The home series is commonly referred as Border - Gavaskar Trophy and currently India are the holders of the same. Last time both sides played their ODI series was in India and the home team comfortably won the series 4-1. Currently India are level in the test series here Down under and are desperate to make a comeback in next one! 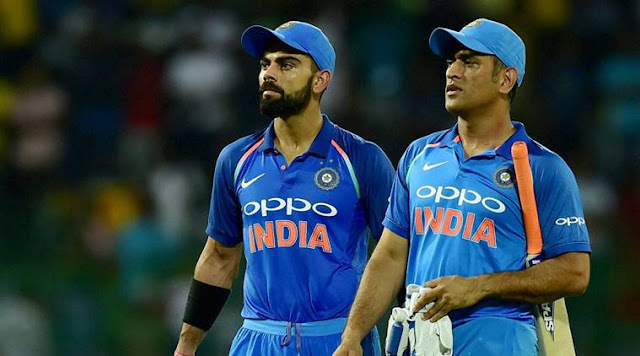 This is an updated post for the upcoming ODI series when Australia land in India for the first time this year and their second back to back series with Indian team. After Australian team complete their Down under tour with India here, they remain at home and play Asian giants Sri Lanka for a two match test series. India on the other hand, will quickly move to New Zealand to play 5 match ODI and 3 match T20I series against them. Post that, it's back to home soil for Indians to mark their victory against their bosses - Australia. The home side currently hasn't played much of T20 International since the World T20 in 2016 year while Australia are looking good within the shorter format of the game. The last time both sides had face off in Australia, Team India emerged victorious clean sweeping the T20 series with 3-0 margin and then again winning the home series match 2-1. 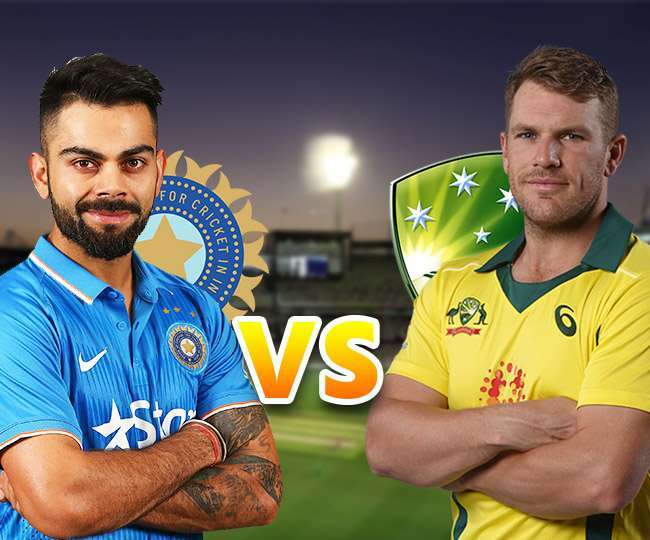 After an emphatic win against England and beating them after 8 years on home soil, India will look to emerge victorious against Aussies as they face a tough battle. Both Aaron Finch and Virat Kohli are in their extreme form however India will have the advantage of playing at their home turf. If things are to be taken care, this series promises a lot of fight and stability as key battles are roundup from 2017 home series. Virat Kohli and men will be leading their heads high against the loosened Aussies to continue their victory streak in the upcoming series of the year. This will be the last home series for Indian team after which the arrival of World Cup 2019 will ensure preparation is full and final. The batting will be taken care by Shikhar Dhawan, Rohit Sharma, MS Dhoni, Kedar Jadhav, Dinesh Kartik and Virat Kohli himself. It will be important see how MS Dhoni fits himself up after getting the important recalls for Australia ODI and New Zealand ODI series. The fast bowling options will be open under the likes of Bhuvaneshwar Kumar, Ishant Sharma, Mohammad Shami and Umesh Yadav. The spin department is eyed on Ravindra Jadeja, Kuldeep Yadav and Yuzvendra Chahal. Australia will be pretty low on confidence after losing back to back test series against Sri Lanka and South Africa. Currently they are looking to regain the momentum in ODI format before moving ahead in the test series against India. Key battles will involve Pat Cummins and Josh Hazlewood bowling head to head against Indian batsmen. Lots of newcomers have recently joined the squad which will give them a lift in the batting unit. Captain Aaron Finch and Glenn Maxwell will be the key to break for India in order to win the series. In order to book tickets online, you should possess a valid photo identity proof and credit / debit card for making payments online. According to sources, about 70 percent of the tickets will be reserved for online quota while 30 percent will be available from the stadium box office. The price / fare of tickets will be in range of Rs.200 to Rs.300 per head. You can also buy tickets at the stadium counters before 2 days of match schedule if no rush is available. During the match days, you will need to carry your debit / credit card and ticket print out proof to avail the seats for the matches. We are also giving away free tickets for those who are interested to watch the match live at the stadium. Do drop in your interest in form of comments and we will contact you at the respective email address for further details. The selectors will have some choices to make as they move ahead and pick the right team for selection at the home conditions. It will be difficult to pick among the bunch of players that will be available as they look fit to be selected in the World Cup 2019 as well. The selectors will be open to pickup the best domestic performer and will promote them as Team India head towards the final series before heading for the World Cup in 2019 starting May. Please let us know your thoughts in comments below. If you are interested to buy the tickets, please drop your messages below mentioning in detail your interest for cricket and live matches in stadium and we will consider you for free tickets available from BCCI for the matches as per schedule. I want TKSS pass for self . Can you tell me how i can take it? We are very big fan of u. We are coming all the way from ludhiana on 13th july. We request you to plz provide us the passess. We are two people, me and my husband. Cannot afford to miss the one time opportunity to watch ur live show. We have an E-commerce company and we dealing total consumer products in all over India and we want dealers/distributors in all over India for delivery who can deliver our product to our regular customer at there home address on (cod) cash on delivery mode. And you get minimum rupees 3000-4000 in a day and more information contact with me In mail id :- aarogyanjali.abhi@gmail.com Contact No. :- 9522201856. When & where online booking for the 4th odi will start ?? Sir i want ticket for bangalore match 3 tickets..